Modules: independent, interchangeable, such that each contains everything necessary to execute the desired functionality. All of modules suitable not only C1 but also G1,G2,G3,G4 and S4. Please choose modules from the modules collection, each module counted number from 1 to 6. Noted that, Base machine not including module. 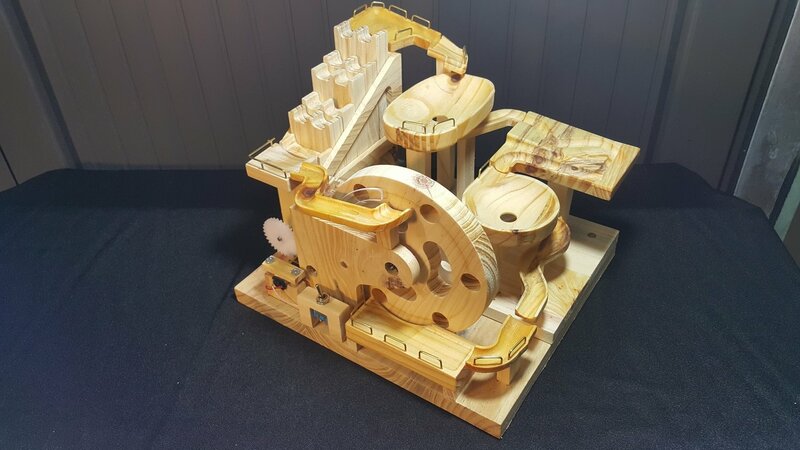 Package include every parts of Machine such as Wood parts, plastics gears, gear motor, brass wire (U shape), marbles, screws, batteries holder, sanding pads... But not includes Wood glue and batteries.